This is the fifth post in a series to dig deeper into the relationship between literacy and documenting learning. HOW does documenting learning have an effects on awareness, skills and developing habits around the so called 21st century “Now” literacies. Information literacy consists in the ability to identify, search effectively for information, locate, filter, discern the quality of information, evaluate, analyze, tag, categorize, re-mix, create new types of information and effectively use and communicate the findings well for an issue or problem at hand. Many of us don’t know how to find relevant information among all that information that is being thrown at us 24/7, nor what to do with that information. Many of us don’t know how to “read and write” information that is not being communicating with text alone, but comes in a variety of media forms and is being shared on a variety of media platforms. Many of us don’t know how to handle the ability to re-mix, produce, create and disseminate new forms of information. How is information literacy with its new demands on the learner related to documenting learning? 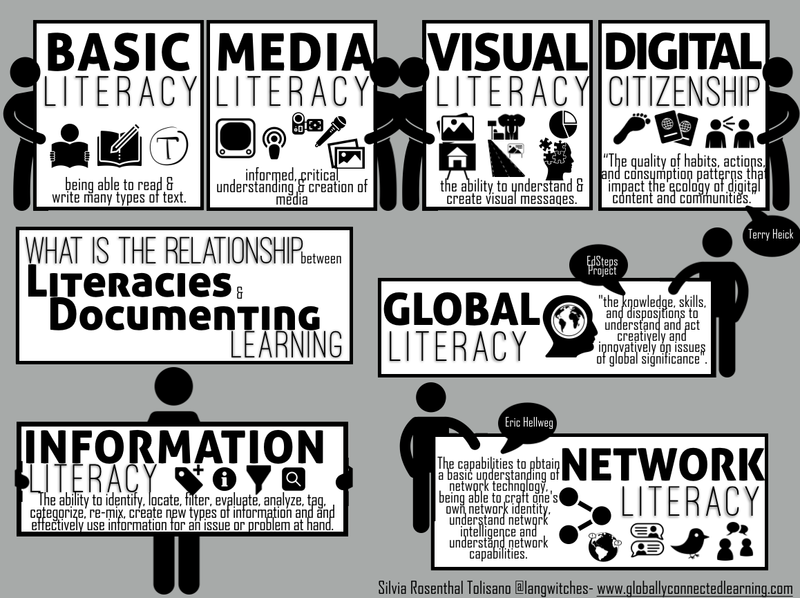 I see many connections to be made in our attempt to gain fluency in information literacy as we are documenting. 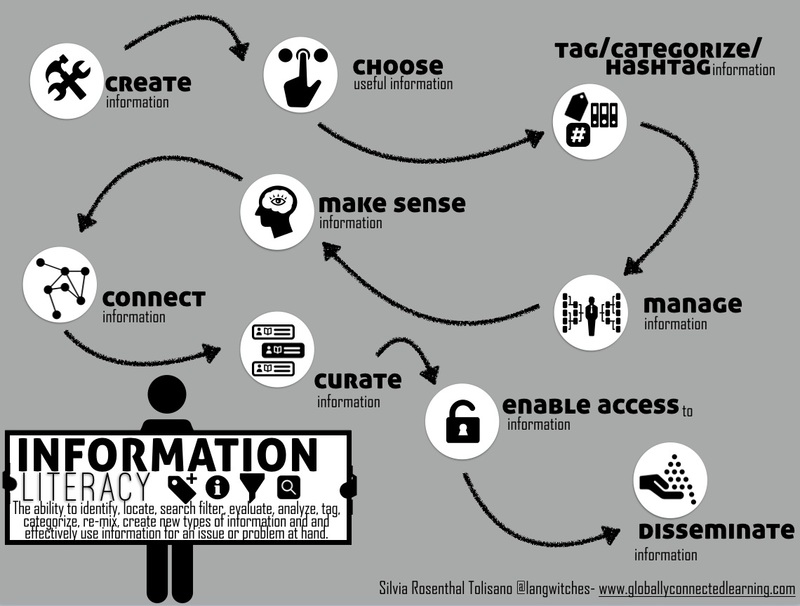 Let’s keep in mind how information is created (from data to information to knowledge). As we are documenting learning and we look for learning, we collect data, reflect on the meaning of data to create information from our observations by capturing learning in various media forms. Documenting learning is about creating information about the learner, the learning process and about the bigger picture of what learning means. Learners need to sharpen their ability to evaluate what information needs to be gathered, what characterizes evidence and where to find the most helpful and useful information. Documenting learning is about much more than snapping a picture (or hundreds of pictures) of this, recording a moment in time (or 20 continous minutes of recording) of that or collecting everything that is being “covered”. Documentation is about strategically choosing useful information from a large pool of data to capture evidence of learning, to make learning visible, connect other documentation artifacts to each other and it is about creating new useful information about the learner and learned knowledge. The ability to make choices between useful and unhelpful information is critical, if we want to go beyond documenting of learning and move into the realm of documentation for and as learning. With the amount of information being created, it is paramount to know how to tag, categorize and potentially hashtag our information in order to make it easily searchable for ourselves and others. 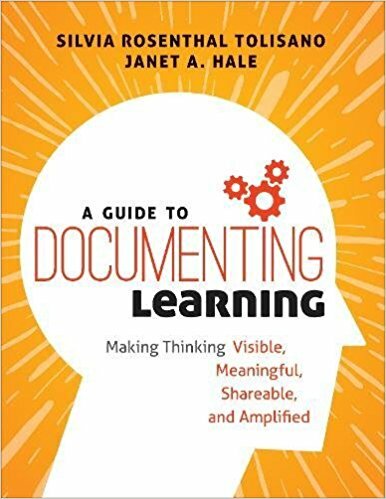 When we document our learning, we need to consciously think about how we might tag/categorize/hashtag each documentation, media, reflection, etc. so we, as learners, can ultimately see relationships across content areas, connect with other previously created information and future information yet to be created. 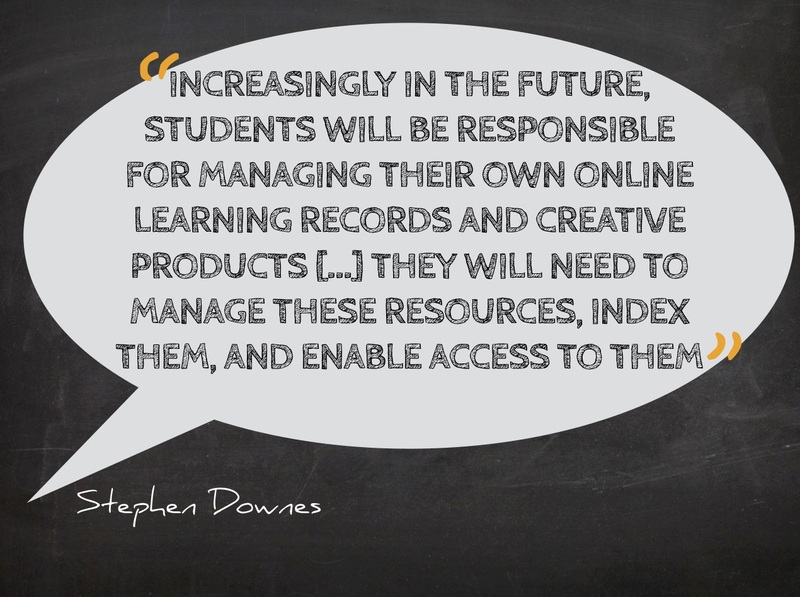 Stephen Downes predicts that “Increasingly in the future students will be responsible for managing their own online learning records and creative products. […] they will need to manage these resources, index them, and enable access to them.” Documenting our learning, via a blogfolio for example, provides us with the opportunity to use systems/platforms that will facilitate the management of our online records. The ability to archive our learning promotes our ability to track and document learning over time. We are constantly being bombarded by information, without even trying. With the ability of anyone being able to create, re-mix, share and disseminate any type of information they wish, comes the responsibility of greater importance placed on critical thinking as we interact with information. Documenting learning focuses on capturing the process of learning and evidence thereof. Not every image, audio, video or text is such evidence. As we take a closer look at the captured artifacts, we need to make sense of the data and information collected to make sense of what it means and stands for in terms of our learning. Curation implies more than just collecting resources and artifacts, but is about organizing and grouping content. it is about adding value to the originals by recommendations, reflections and relevant connections to perspectives, themes, other topics or a story of learning to be told. We need to develop skills that elevate us beyond mere collectors of information to curators. Documenting learning provides a framework that supports developing and honing these skills of curation. We choose relevant information, we reflect on learning, we add value to artifacts by making connections and make our thinking visible to others. Most of us grew up in an era, when we were consumers of information. We read books, newspapers, articles or magazines that were written, edited and published by others. We listened to radio stations and watched TV or movies produced by others. Over the last decade, we have become a society of producers of information due to the access of devices that facilitate recording at literally no cost. There is a difference though between creating information and enabling access to this information to others. A mindset of privacy, protection of intellectual property, analog content (difficult and expensive to share), Password protected content or copyright restricting licenses all contributed and continue to contribute to information behind walls. As we are seeing and reaping the benefits of greater access to information, we notice the importance and connection to digital citizenship and network literacy. When we are sharing our documentation of learning freely, we give others the opportunity to learn from our work, thinking, reflection, failures and successes. We contribute to a larger picture of what teaching and learning looks like, can look like and will need to look like in our future. Disseminate means to spread information widely. Documenting learning goes through a flow of looking for learning, capturing learning, reflecting on learning, sharing learning and amplifying learning. Simply sharing our documentation by publishing the information online does not necessarily mean, we are spreading it widely and reaching a larger audience. The saying “If you build (in this case: share) it, they will come”, does not hold necessarily true. Disseminating implies to scatter widely, as in sowing seeds. We need to strategically disseminate (sow the seeds of ) our information to be able to amplify our work to a global audience. 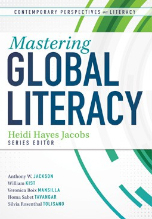 Dissemination of information requires new types of skills tightly connected to network and media literacies. When we document learning, we prepare our information in ways that dissemination becomes easier, part of our flow to amplify our learning.